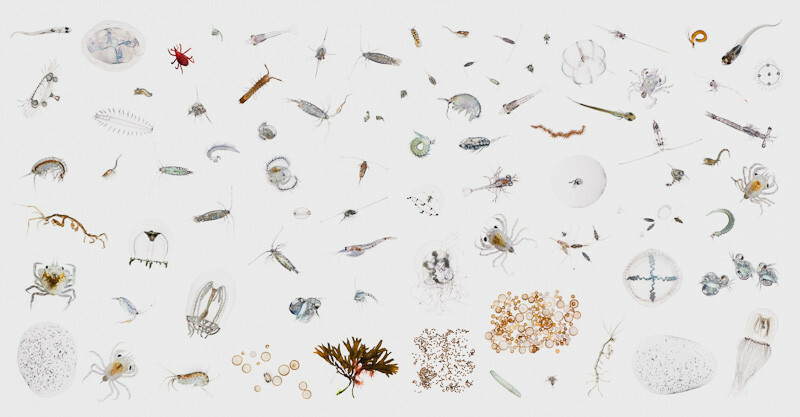 Creatures, collected underneath the Golden Gate Bridge, represent just a small sample of the density of life that can be found within a single cubic foot of space. On any given day as many as 2.6 billion creatures pass through a cubic foot of San Francisco Bay water - more creatures than the number of automobiles the Golden Gate Bridge has hosted over its 75 years of existence. 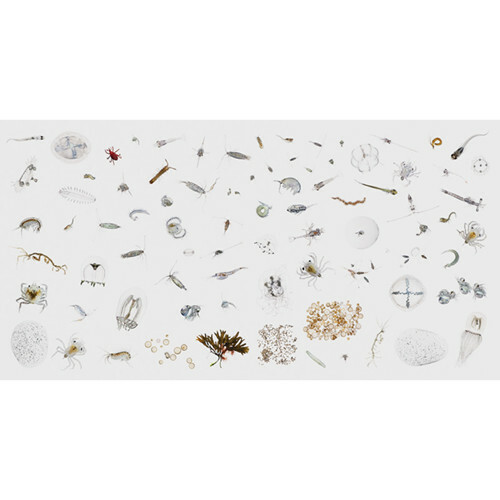 In this sample are jellyfish, amphipods, diatoms, barnacle larvae, crabs larvae, worm larvae, shrimp larvae, water fleas, algae, worms, copepods and more. All ranging from as small as . 008cm to 21.5cm.